WAT Medical develops precise, wearable and smart medical products to prevent debilitating conditions like nausea and migraine. Current medical solutions often involve drug intake, which can cause further discomfort through various side-effects. WAT Medical develops technologies that use none-invasive neuronal electrical stimulation, including transcutaneous electrical nerve stimulation (TENS) and transcranial direct current stimulation (tDCS), which involves electrical currents conducted from the skin. With devoted staff leading in the field of medical research and development, this efficient and convenient medical service is being provided for customers worldwide. 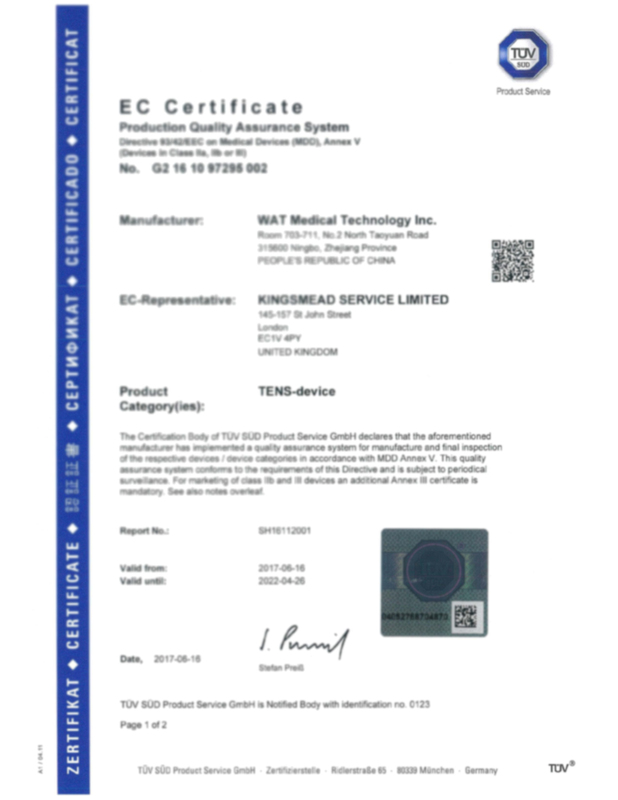 WAT Med is certified to the ISO 13485 medical standard. WAT Med is a member of LifeSciences BC. 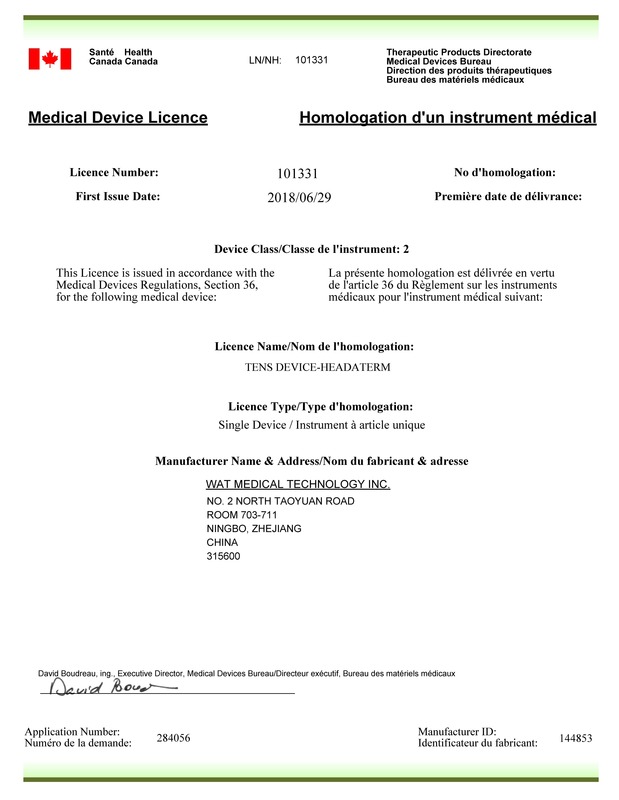 EmeTerm and HeadaTerm bear the CE Medical mark. Its anti-nausea wristband, EmeTerm, is winner of iF Design Award 2017. Wearable Technology. Expanding technology for patients in hospital to home and workplace. Application Software. Offering data service and devices. 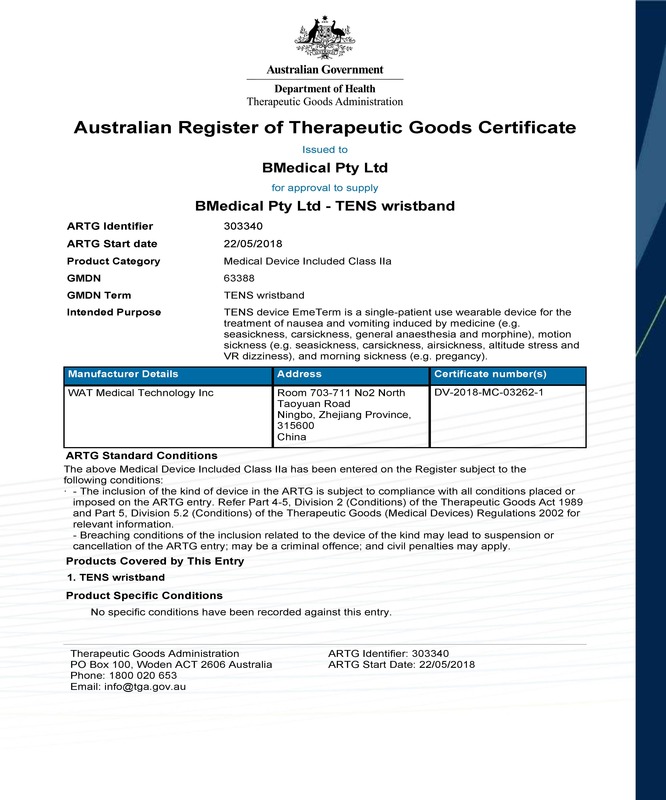 TENS and tDCS. Effective and safety bioelectric therapies.